Documents are often stored folded in many archives. They are frequently kept in (large) envelopes made of heavy-duty brown kraft wrapping paper. Storage in such envelopes can lead to damage to the documents through the acidic heavy-duty brown kraft wrapping paper. Document envelopes developed by KLUG-CONSERVATION are made of ageing-resistant archival paper or board. An envelope enclosure closed on all sides and thus with no loss of fragments. Ideal for archiving legal douments, certificates, manuscripts etc. 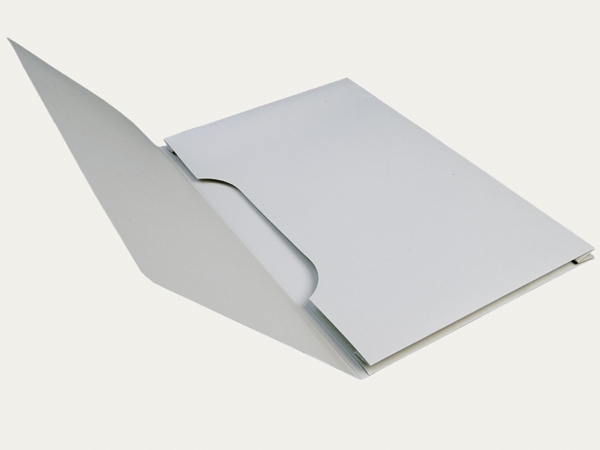 The envelope is folded together, four-sided, from a single sheet of light grey or grey-blue archival paper, 130 gsm. Due to special surface treatment dirt-resistant, erasable and rub-proof (dry wiping). Other sizes on request. An envelope enclosure closed on all sides and thus with no loss of fragments. Ideal for archiving legal documents, certificates, manuscripts etc. A very compact archiving method for minimum space requirement. 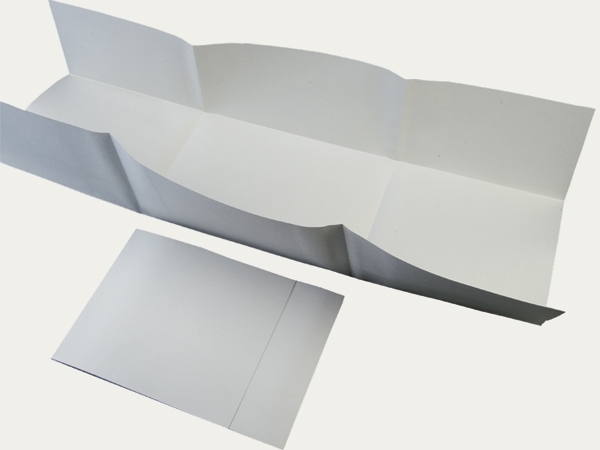 The envelope enclosure is made from light grey coloured archival board, 240 gsm.